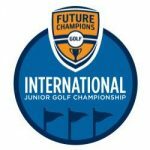 “We are very happy to be a partner with Future Champions Golf, the Fastest Growing Junior Golf Program in the World; we share the same Philosophy of providing our Junior Players with the best opportunities to develop their skills and reach their highest goals; I know Chris Smeal is doing a fantastic job for the Future of our game, and we are very excited to be a part of it” Ricardo Montemayor, CEO of Tough as Steel. Founded in 2014, TGolfGear aims to set out to provide a variety of good quality golf products. Driven by our motto “Tough as Steel”, we design and provide a wide range of products that epitomizes and combines toughness, durability, coolness and comfort. From eyewear to apparels, gloves to belts, divot tools to golf bags. Our products take form in a variety of colors and styles to pique everyone’s interest. Our products can be customized and tailor-designed to each individual team and player.